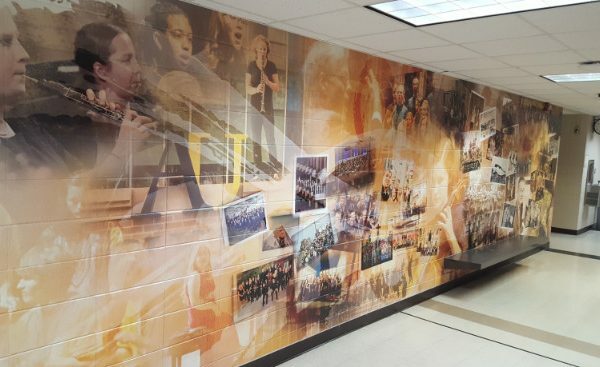 Custom graphics and photography in wall wraps: an alternative to hand painted art. 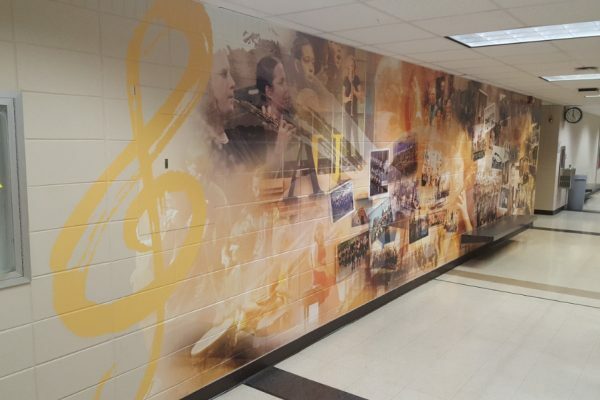 In this Q & A, we sat down with Eric Van Beek, our Large Format Specialist who installed this piece of art at Augustana University’s music department. 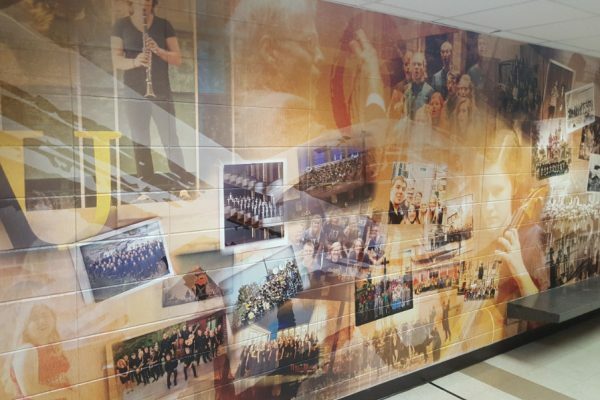 Where did the inspiration for this wall wrap come from? The inspiration for this idea came from Augustana themselves. They had the vision for this “time collage” and HenkinSchultz graphic designer Tammy Larson came up with the design and did an amazing job. 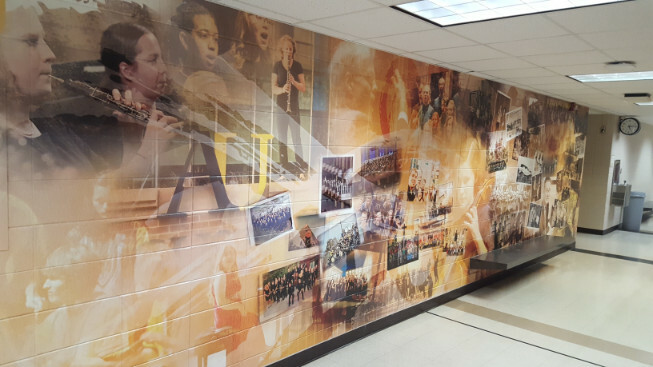 Augustana had the idea to show a timeline from the early days of their music department to the current era of what the the department looks like today. 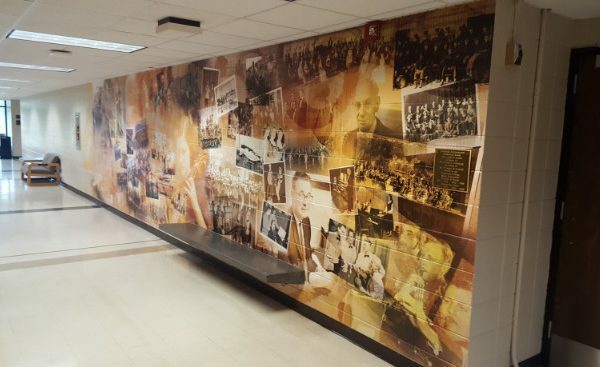 This piece features professors, students, concerts and more all brought together in the glow of Augie gold. Splashes of muted color with century-old photos make this a breathtaking blend of art and history. 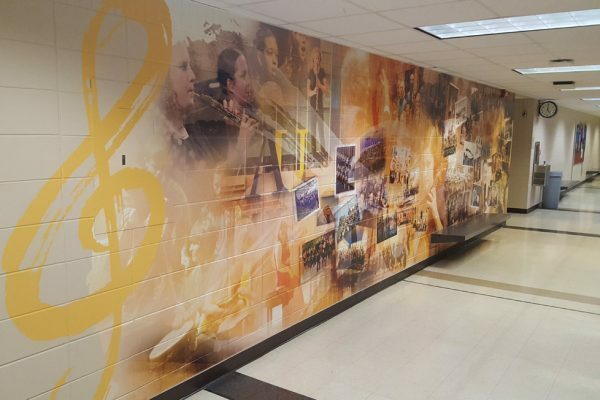 What materials were used for this project? 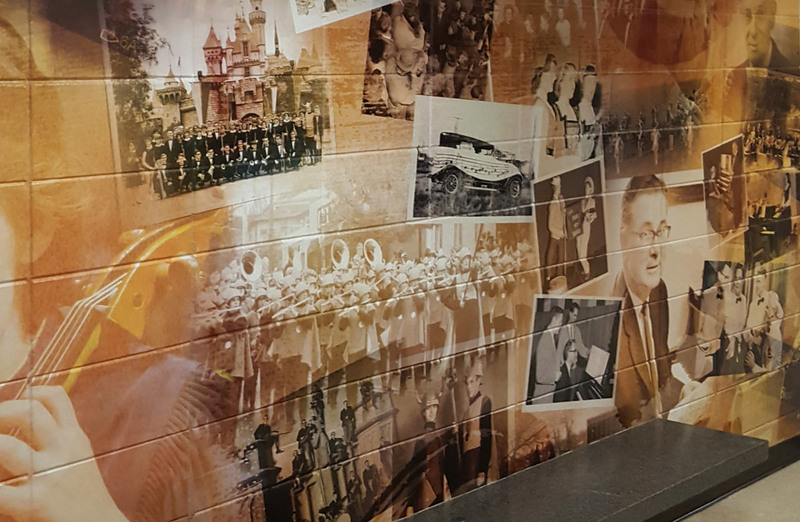 The wall graphics were actually printed on material very similar to what we use to wrap vehicles. 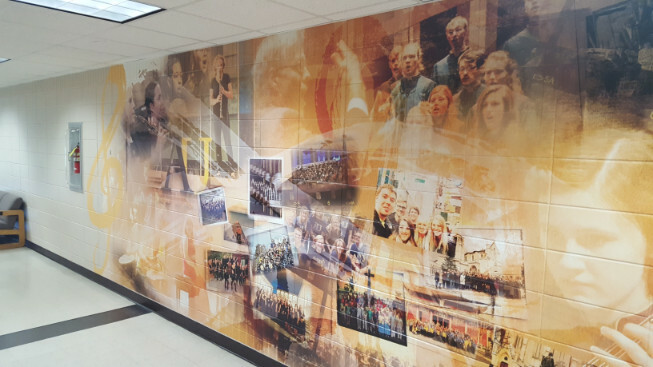 It’s an incredibly advanced, conformable vinyl that can be heated and pressed into the deep texture of a cinder block wall. 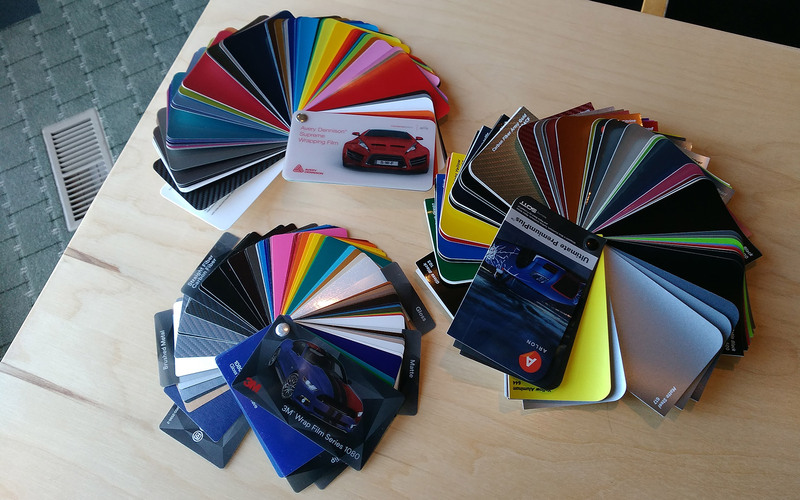 It’s a very high quality 3M material. 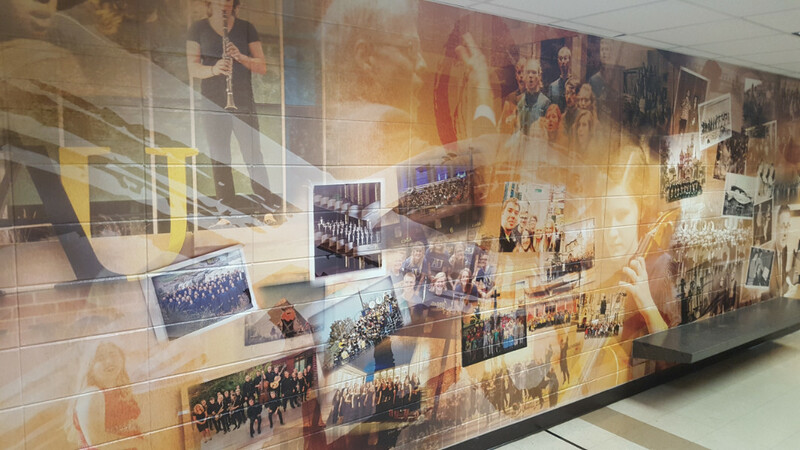 We also used an ultra matte finish laminate to prevent glare. Glare can be a major distraction when light reflects off of a textured wall. 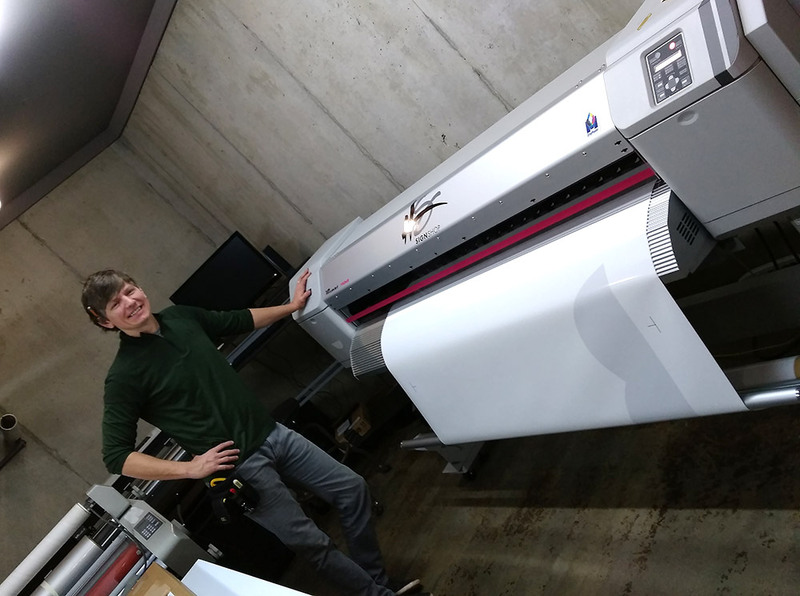 Because of our techniques, specialized tools and experience the graphics actually look hand painted but in actuality it’s high res photography. What tools and processes were used to adhere the vinyl and laminate to the wall? Different sized rollers and heat were used to press the material into the textures and grout lines. 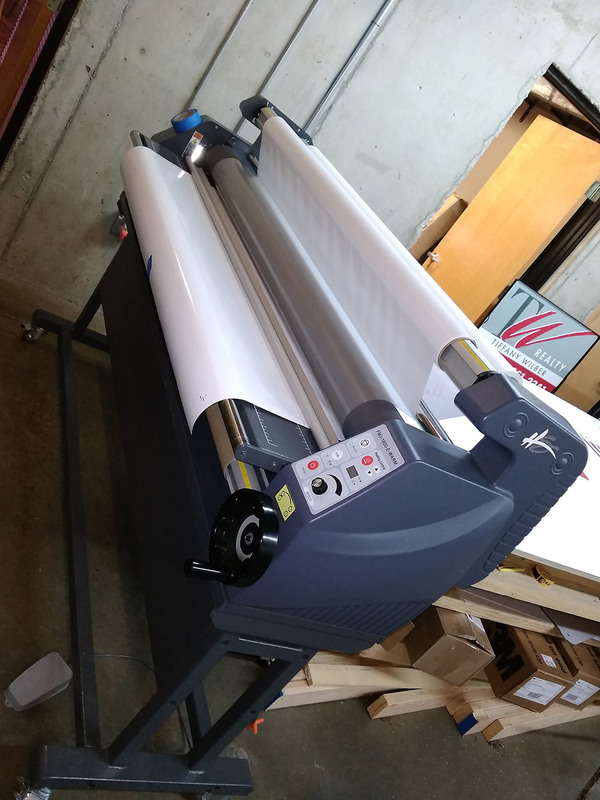 The rollers look quite simple, but are surprisingly specialized for certain widths, depths, shapes and also hold up to very high temperatures. These along with heat guns, squeegees, blades and a lot of experience can create a beautiful, durable & unique addition to any space. 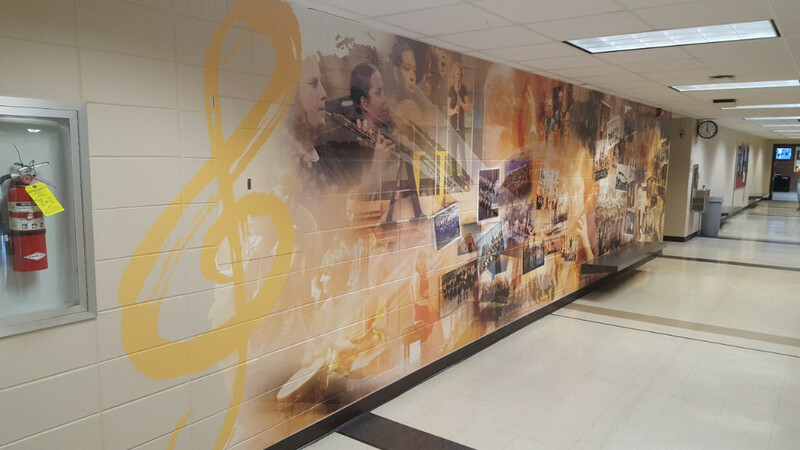 And because this wall wrap is in a temperature controlled environment, it can be expected to last a very long time? Correct. 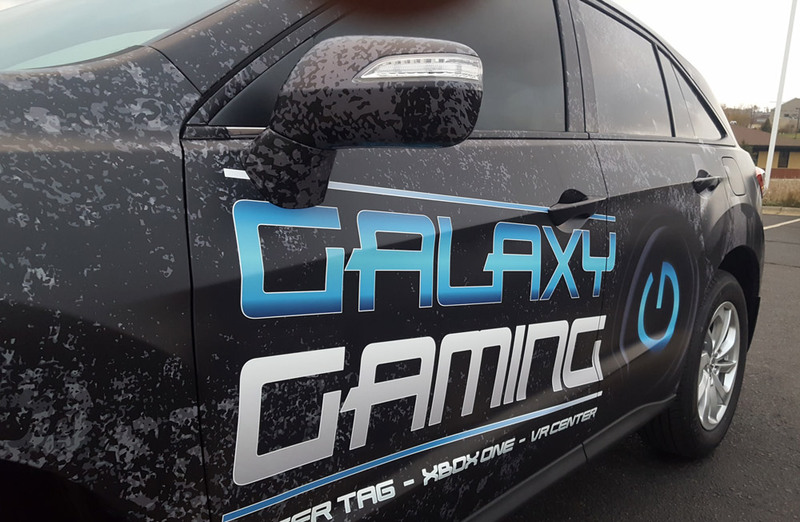 Vehicle wraps are exposed to a wide range of temperatures and sunlight and can last up to 10 years. 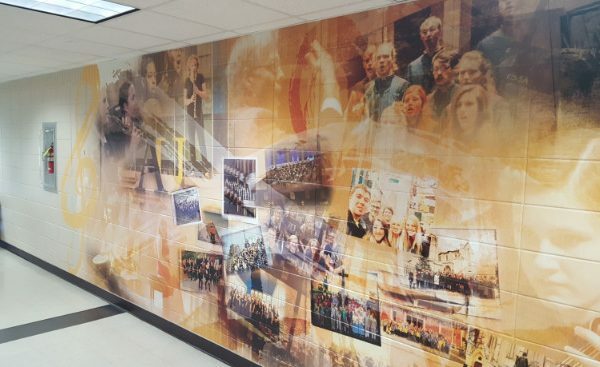 This wrap is exposed to students (chuckle), but will last as long as Augustana wants it to.